This article is about humors in ancient and medieval medicine. 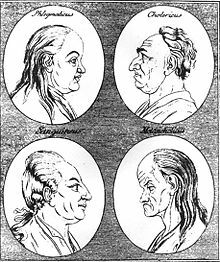 For the related theory of temperament, see four temperaments. For humors in Ayurvedic medicine, see Ayurveda. The concept of "humors" (i.e. chemical systems regulating human behaviour) became more prominent from the writing of medical theorist Alcmaeon of Croton (C. 540–500BC). His list of humours was longer than just four liquids and included fundamental elements described by Empedocles, such as water, air, earth, etc. Some authors suggest that the concept of "humours" may have origins in Ancient Egyptian medicine or Mesopotamia, though it was not systemized until ancient Greek thinkers. The word humor is a translation of Greek χυμός, chymos (literally juice or sap, metaphorically flavor). At around the same time, ancient Indian Ayurveda medicine had developed a theory of three humors, which they linked with the five Hindu elements. Even though humorism theory had several models that used 2, 3 and 5 components, the most famous model consists of four-humors described in Hippocrates writings and then developed further by Galen. The four humors of Hippocratic medicine are black bile (Greek: μέλαινα χολή, melaina chole), yellow bile (Greek: ξανθη χολή, xanthe chole), phlegm (Greek: φλέγμα, phlegma), and blood (Greek: αἷμα, haima), and each corresponds to one of the traditional four temperaments. A humor is also referred to as a cambium (pl. cambia or cambiums). Based on Hippocratic medicine, it was believed that the four humors were to be in balanced proportions with regard to amount and strength of each humor for a body to be healthy. Excess of yellow bile was thought to produce aggression, and reciprocally excess anger to cause liver derangement and imbalances in the humors. The word "melancholy" derives from Greek μέλαινα χολή (melaina kholé) meaning 'black bile'. Excess of black bile was understood to cause depression, and inversely a decline of feeling or opinion cause the liver to produce blood contaminated with black bile. Phlegm was thought to be associated with apathetic behavior, as preserved in the word "phlegmatic". The phlegm of humorism is far from the same thing as phlegm as it is defined today. Nobel laureate Charles Richet MD, when describing humorism's "phlegm or pituitary secretion" in 1910 asked rhetorically, "...this strange liquid, which is the cause of tumours, of chlorosis, of rheumatism, and cacochymia—where is it? Who will ever see it? Who has ever seen it? What can we say of this fanciful classification of humours into four groups, of which two are absolutely imaginary?" Robin Fåhræus (1921), a Swedish physician who devised the erythrocyte sedimentation rate, suggested that the four humours were based upon the observation of blood clotting in a transparent container. When blood is drawn in a glass container and left undisturbed for about an hour, four different layers can be seen. A dark clot forms at the bottom (the "black bile"). Above the clot is a layer of red blood cells (the "blood"). Above this is a whitish layer of white blood cells (the "phlegm"). The top layer is clear yellow serum (the "yellow bile"). Empedocles theory suggested that four elements: earth, fire, water, and air; earth produce the natural systems. Since this theory was influential for centuries, later scholars paired qualities associated with each humour as described by Hippocrates-Galen with seasons and "basic elements" as described by Empedocles . The humoralist system of medicine was highly individualistic, for all patients were said to have their own unique humoral composition. From Hippocrates onward, the humoral theory was adopted by Greek, Roman and Islamic physicians, and dominated the view of the human body among European physicians until at least 1543 when it was first seriously challenged by Andreas Vesalius. Vesalius mostly criticized Galen's theories of human anatomy and not the chemical hypothesis of beharioural regulation (temperament). However, some believe that theory of humours was cast into the underside of science in 1628 by the findings of William Harvey (also criticising mostly anatomy theory of Galen) and by Rudolf Virchow's theories of cellular pathology in 1858. Typically "eighteenth-century" practices such as bleeding a sick person or applying hot cups to a person were, in fact, based on the humoral theory of imbalances of fluids (blood and bile in those cases). Ben Jonson wrote humor plays, where types were based on their humoral complexion. Methods of treatment like bloodletting, emetics and purges were aimed at expelling a surfeit of a humor. Other methods used herbs and foods associated with a particular humor to counter symptoms of disease, for instance: people who had a fever and were sweating were considered hot and wet and therefore given substances associated with cold and dry. Paracelsus further developed the idea that beneficial medical substances could be found in herbs, minerals and various alchemical combinations thereof. These beliefs were the foundation of mainstream Western medicine well into the 17th century. There are still remnants of the theory of the four humors in the current medical language. For example, modern medicine refers to humoral immunity or humoral regulation when describing substances such as hormones and antibodies that circulate throughout the body. It also uses the term blood dyscrasia to refer to any blood disease or abnormality. The associated food classification survives in adjectives that are still used for food, as when some spices are described as "hot", and some wines as "dry". When the chili pepper was first introduced to Europe in the sixteenth century, dieticians disputed whether it was hot or cold. Because people believed that the quantity of humors in the body could not be replenished, there were folk-medical beliefs that the loss of fluids was a form of death. The humors can be found in Elizabethan works, such as in Taming of the Shrew, in which the character Petruchio pretends to be irritable and angry to show Katherina what it is like being around a disagreeable person. He yells at the servants for serving mutton, a "choleric" food, to two people who are already choleric. ^ van Sertima, Ivan (1992). The Golden Age of the Moor. Transaction Publishers. p. 17. ISBN 978-1-56000-581-0. ^ Sudhoff, Karl (1926). Essays in the History of Medicine. Medical Life Press, New York City. pp. 67, 87, 104. ^ "Henry George Liddell, Robert Scott, A Greek-English Lexicon, χυ_μ-ός". ^ Hippocrates (c. 460 – c. 370 BC): in Hippocratic Corpus, On The Sacred Disease. ^ Johansson, Ingvar; Lynøe, Niels (2008). Medicine and Philosophy: A Twenty-First Century Introduction. Walter de Gruyter. p. 27. ISBN 9783110321364. Retrieved 23 April 2015. ^ Richet C (1910). "An Address ON ANCIENT HUMORISM AND MODERN HUMORISM: Delivered at the International Congress of Physiology held in Vienna, September 27th to 30th". Br Med J. 2 (2596): 921–6. doi:10.1136/bmj.2.2596.921. PMC 2336103. PMID 20765282. ^ Hart GD (December 2001). "Descriptions of blood and blood disorders before the advent of laboratory studies" (PDF). Br. J. Haematol. 115 (4): 719–28. doi:10.1046/j.1365-2141.2001.03130.x. PMID 11843802. Archived from the original (PDF) on 2011-07-08. ^ Lewis-Anthony, Justin (2008). Circles of Thorns: Hieronymus Bosch and Being Human. Bloomsbury. p. 70. ISBN 9781906286217. ^ Lutz, Peter L. (2002). The Rise of Experimental Biology: An Illustrated History. Humana Press. p. 60. ISBN 978-0-89603-835-6. ^ "Infrigidate - The Free Dictionary". Thefreedictionary.com. Retrieved 2012-01-11. ^ Williams, William F. (December 3, 2013). Encyclopedia of Pseudoscience: From Alien Abductions to Zone Therapy. Routledge. ISBN 978-1135955298. Burton, Robert. 1621. The Anatomy of Melancholy, Book I, New York 2001, p. 147: "The radical or innate is daily supplied by nourishment, which some call cambium, and make those secondary humours of ros and gluten to maintain it [...]". BBC Radio4's In Our Time. Episode on the four humors in MP3 format, 45 minutes.